The time to introduce a second character has come. 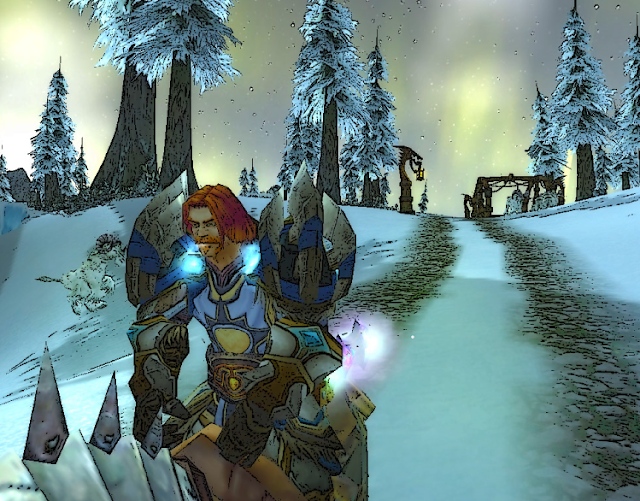 This time we have a ginger paladin in the spotlight. He's quite likely my most roleplayed character with the most text in his MyRolePlay profile. His mainspec was holy all the way to level 85, but as the very power-yerning person I am (ahem! ), I had to start tanking with him; so protection now serves as his more frequently used spec, despite holy having slightly better gear. The ginger was my best geared alt for a long while, until beaten by my death knight. He was the third character that I leveled to max level and he spent a moment doing arena at level 70. Something that happened in Northrend changed Sir Raleigh Croft's thoughts of the Holy Light for good. Having spent his childhood and youth under the influence of a very religious father in the small town of Southshore, he acted more like a preacher man than a peasant. 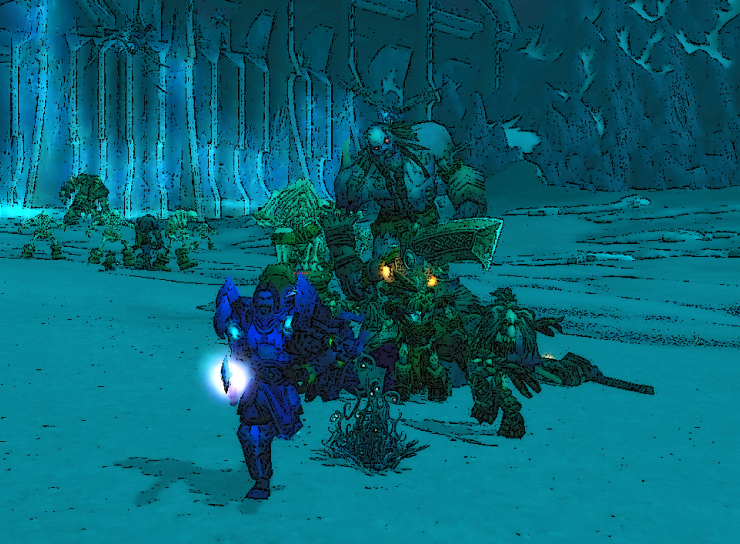 Raleigh drifted away from Southshore to study with the Knights of the Silver Hand, but his studies were interrupted by the abrupt death of his father. Inspired by a newfound rage towards undead, he continued his studies and eventually did become a paladin. Just a couple of years later he left for Northrend, still unaware of what really caused his father to die. Unaware that he'd return as a completely different man.